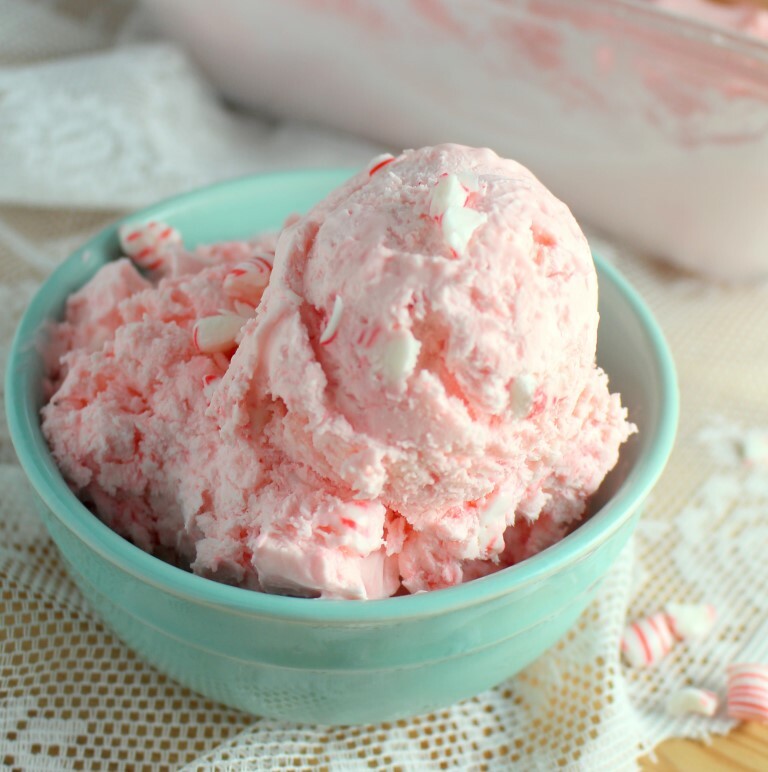 I don’t know if I’ve mentioned it before, but ice cream is my favorite dessert any time of the year. 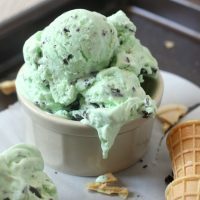 I enjoy baked treats too, but there is nothing quite as satisfying as a bowl of ice cream. And I’m not picky about the flavor either. I love anything chocolate, caramel, peanut butter, but fruit flavors like strawberry and raspberry are good too. We live less than a mile from the best little ice cream place in Lancaster County. 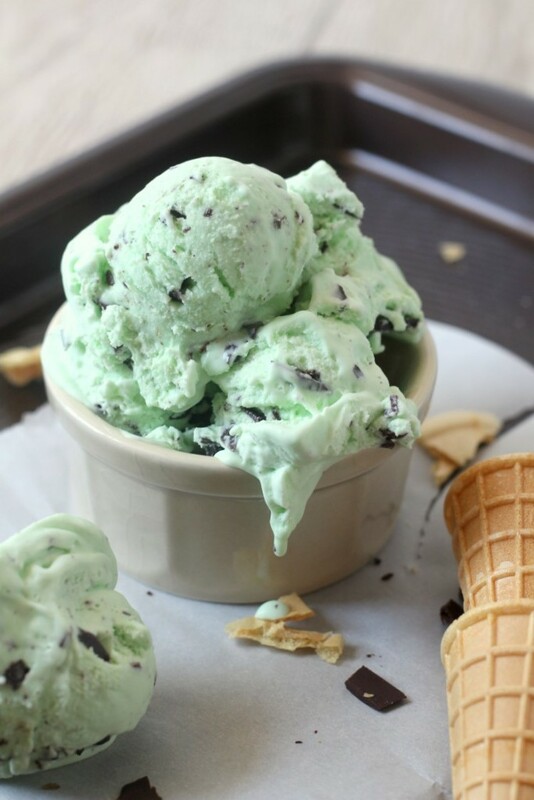 It’s on a little dairy that processes it’s own products and makes it’s own ice cream. It’s handy to stop down and grab a gallon of milk from their drive through and of course who can resist an ice cream cone while your there. The kids like it when we get out and look at the cows and play with the kittens while we eat our ice cream. It gets and A+ for atmosphere. We actually used to go more when we were first married before all the tourists found it. Now on any day in the summer it is packed with people, not quite as enjoyable. 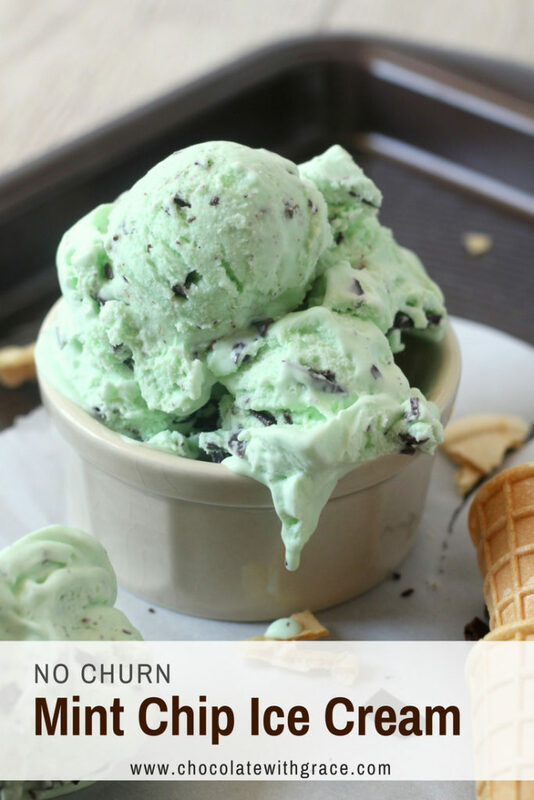 We still get our ice cream from there, but occasionally, I have cravings for a flavor that they don’t have and I make my own with this no churn recipe that is completely customizable. Whip 2 cups of heavy cream, fold in a can of sweetened condensed milk and add your flavorings. 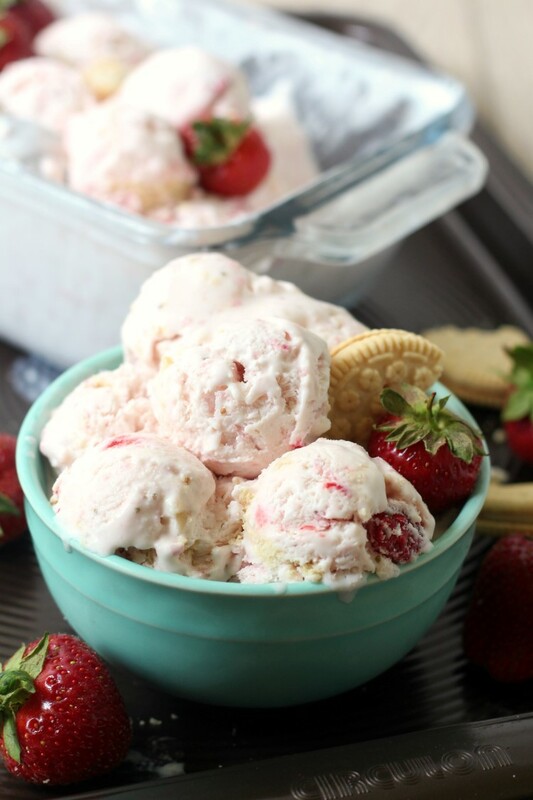 Earlier this summer, I went with strawberry shortcake ice cream. 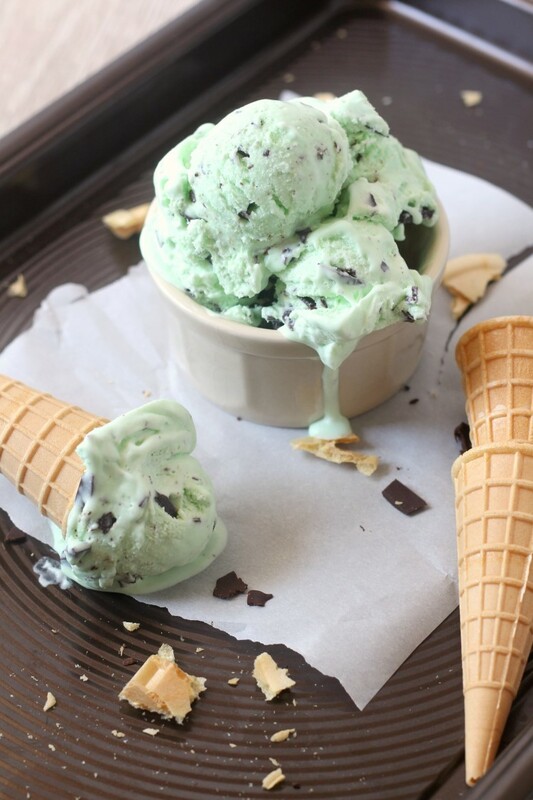 And now I satisfied my mint chocolate chip ice cream cravings. Tyler doesn’t like this flavor either, so it means there is more for me. I wanted some ice cream cones to take pictures of this ice cream with. 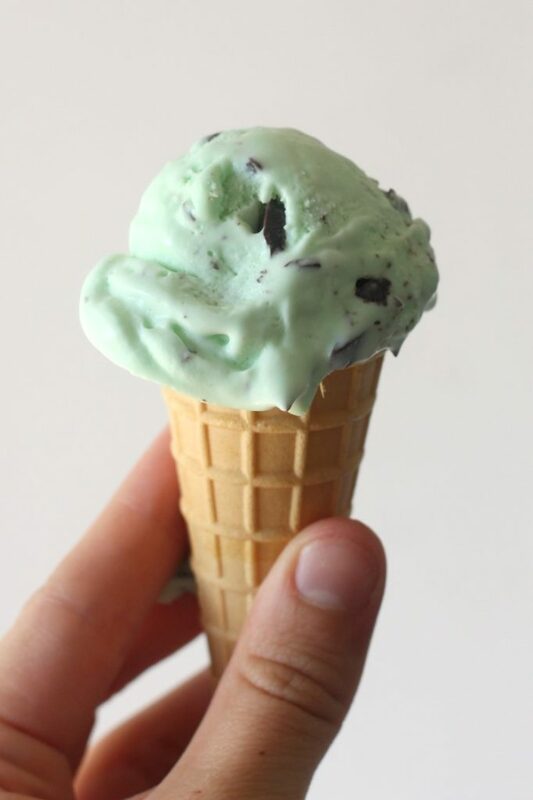 I actually prefer my ice cream in a bowl usually, but who can resist a cute ice cream cone. I didn’t feel like running to the store for a whole box, so I ran down to the little dairy down the hill and bought 3 empty sugar cones this time with my gallon of milk. In a large bowl, beat heavy whipping cream until stiff peaks form. Gently fold in the sweetened condensed milk, mint extract and green food coloring. Last, gently stir in the chocolate. Pour into a freezer safe container and cover with plastic wrap, pressing the plastic directly onto the surface of the ice cream. Place in the freezer and freeze for at least 6 hours. Here are some other fun no churn ice cream flavors that sound delicious. A basic vanilla which is some people’s favorite.